CommScope announced today its intent to acquire Arris International for $7.4 billion, a move that would also bring in Wi-Fi vendor Ruckus, an asset that could help turn CommScope into a single-stop shop for large public venue connectivity products and services. 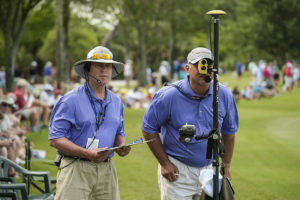 Financial details are available in the official announcement, but what will be more interesting will be how CommScope now markets itself to large public venues, like stadiums, for connectivity solutions. 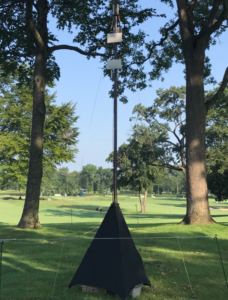 Previously known for its cellular distributed antenna system (DAS) infrastructure and back-end operations, with Ruckus in its portfolio CommScope could now offer an end-to-end solution for stadiums including DAS and Wi-Fi and also for those interested in Citizens Broadband Radio Service (CBRS) services in the near future. Though commercial deployments for CBRS systems have not yet emerged, Ruckus has been a leader in the testing and certification process and is expected to be at the forefront of CBRS hardware providers when systems are ready to come online, possibly sometime next year. Even though its regulatory status is still uncertain, the untapped promise of the spectrum band known as CBRS is already spurring public technology trials, including one announced by Boingo Wireless today that will be used to test back-of-house business applications at Love Field airport in Dallas. CBRS, also known as Citizens Broadband Radio Service, is the acronym shorthand for a 150 MHz-wide swath of wireless spectrum at the 3.5 GHz range that can support communications using the LTE standard. While the final rules for CBRS use in the United States are still pending final FCC approval, the expected availability of the spectrum sometime soon has service providers, gear vendors and other interested parties scrambling to get the technology up and running to kick the tires ahead of any commercial offerings. Like Wi-Fi, the CBRS spectrum will essentially be free to use, making it an potentially attractive space for providers of wireless services to large public venues and stadiums. In Boingo’s case, what’s different about its trial is that it has partnered with the tech team at Love Field not to offer any services airport travelers might notice, but instead mainly to “push the envelope” on CBRS networking, according to Derek Peterson, Boingo’s chief technology officer. With FCC permission to test devices in the CBRS spectrum, Boingo and the Love Field team are “taking advantage of [the test approval] to get used to CBRS, to take a first stab at it,” said Peterson in a phone interview. Though widespread support for the radio chips necessary to connect via 3.5 GHz bandwidth is not yet available, Peterson said Boingo was able to find a mix of phones, dongles and other devices to be able to start playing around with the spectrum in a live environment. Verizon, one of the wireless carriers aggressively pursuing CBRS, has publicly said it expects to see CBRS-capable devices out before the end of the calendar year. Sprint chief technical officer John Saw has seen the future of cellular wireless, and according to him it was at a sports event. Saw, who was CTO at WiMAX play Clearwire before that company became part of Sprint, will be the first to admit that the network built for the PyeongChang Olympics wasn’t “true” 5G, but said it was a good precursor. He also added that it wasn’t a cost-conscious deployment, something MSR had heard from other sources who said Intel and KT didn’t hold back when it came to spending. “They spent a lot of money [on the network],” Saw said. But some of the services the Olympic network was able to support included local viewing of replays using Intel’s True View technology, which gives fans the ability to watch a play or action from a 360-degree angle. 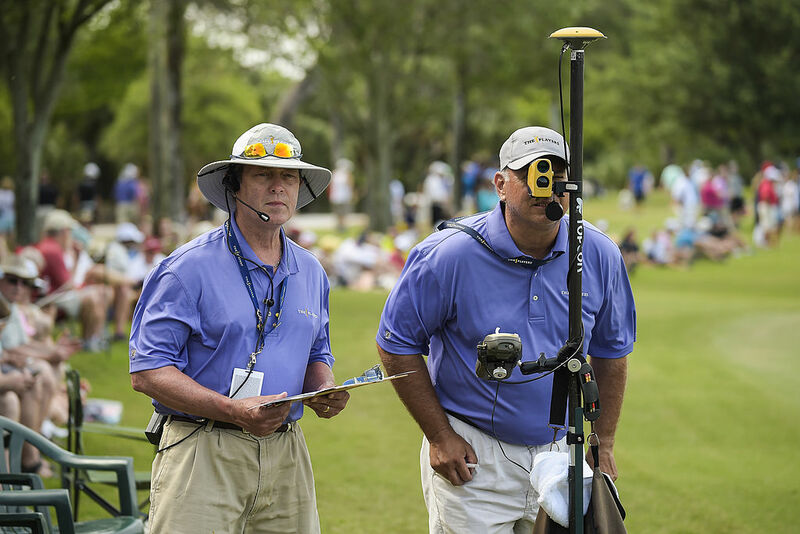 While Intel has had limited deployments of the technology at some U.S. sporting events, for the Olympics Saw said they used hundreds of cameras linked over millimeter wave frequencies, which can offer very low latency. Editor’s note: This profile is from our latest STADIUM TECH REPORT, an in-depth look at successful deployments of stadium technology. Included with this report is a profile of a new MatSing ball DAS deployment at Amalie Arena, a new DAS for the Chicago Cubs at Wrigley Field, and a look at the networks inside the new Banc of California Stadium in Los Angeles! DOWNLOAD YOUR FREE COPY now! 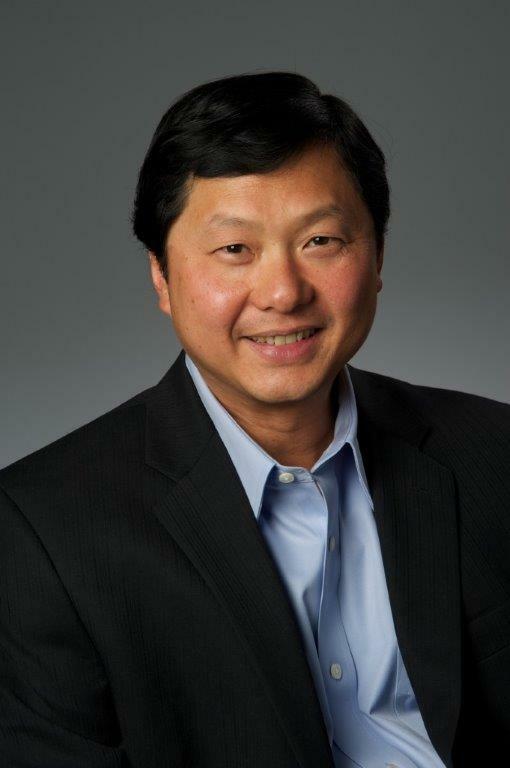 Millimeter wave networks, however, won’t be part of Sprint’s early push toward 5G, said Saw. 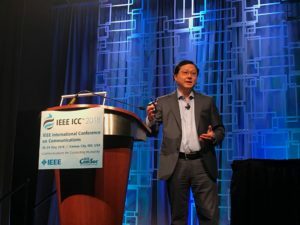 Instead, he said Sprint will concentrate on deploying “Massive MIMO” networks in its rich space of spectrum at the 2.5 GHz frequency, where Sprint controls upwards of 150 MHz of spectrum in most major U.S. metro markets. Without trying too hard here to explain exactly how Massive MIMO works — think splitting up transmissions between mulitple antennas then using lots of compute power to bring the data back together — the key here is Sprint’s spectrum holdings, which Saw said are still only about half used. With the ability to carry “four to 10 times the capacity of regular LTE,” Saw sees Massive MIMO 5G as something perfect for large public venues like stadiums and shopping malls. Saw said that part of the infrastructure support for 5G networks will be different as well. Why is such equipment redistribution necessary? According to Saw, a network with more components at the edge can help with content delivery for the new bandwidth-hungry apps like virtual-reality replays. Will DAS trail in the path to 5G? One type of network Saw doesn’t see leading the way to 5G is the traditional DAS, or distributed antenna system. In fact, Saw said Sprint has been somewhat of a reluctant DAS participant at times, including at the most recent Super Bowls. In the last two of the NFL’s “big game” events, Super Bowl 51 in Houston and Super Bowl 52 in Minneapolis, Saw said Sprint used small cell deployments instead of the neutral DAS systems to augment its coverage. Part of the issue for Sprint and DAS, Saw said, is that the carrier usually has to pay more for its unique spectrum bands, especially the 2.5 GHz frequencies which are not used by any of the other major wireless carriers. 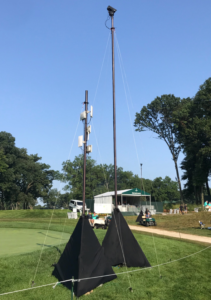 One of the more hyped platforms being pushed this year is use of the CBRS spectrum at the 3.5 GHz range for not just more carrier networks, but even for “private” LTE networks, like for venues or campuses. “It’s an interesting concept because it opens things up to more than just four operators,” Saw said. 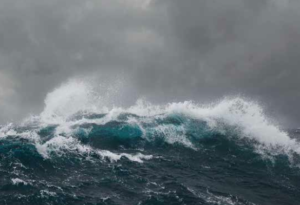 But he also called out the need for an online database to make sure CBRS spectrum use doesn’t interfere with systems run by the U.S. Navy, and added that without any definitive FCC action yet, the rules for future CBRS use are still unclear. “There’s quite a lot of work to be done, and not a lot of spectrum there,” said Saw. While claiming that Sprint is “watching CBRS with interest,” he added that with its 2.5 GHz holdings, Sprint most likely won’t be at the front of any CBRS deployments. “At the end of the day, CBRS is not 5G,” Saw said. How will a merger with T-Mobile help? Since our conversation took place just a day after Sprint and T-Mobile announced their renewed plans to merge, Saw didn’t have a lot of details to share, beyond his opinion that the two companies’ different spectrum holdings would build a more powerful competitor when put together. Editor’s note: This post is part of Mobile Sports Report’s new Voices of the Industry feature, in which industry representatives submit articles, commentary or other information to share with the greater stadium technology marketplace. These are NOT paid advertisements, or infomercials. See our explanation of the feature to understand how it works. State of the Stadium Network, 2018: Smooth sailing right now but rough waters ahead? 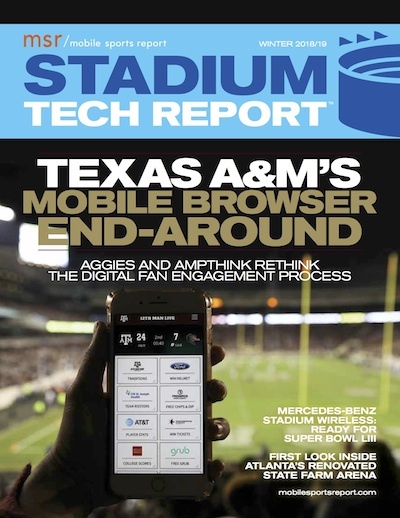 Here at Mobile Sports Report we used to have a yearly survey (called “State of the Stadium”) which we used mainly to see if and when wireless networks were being deployed in large sports venues. After just a few years, it quickly became apparent that for almost all the respondents we heard from, the question was no longer “if” networks would be deployed, but just “when.” And for more than most, the “when” was happening already. 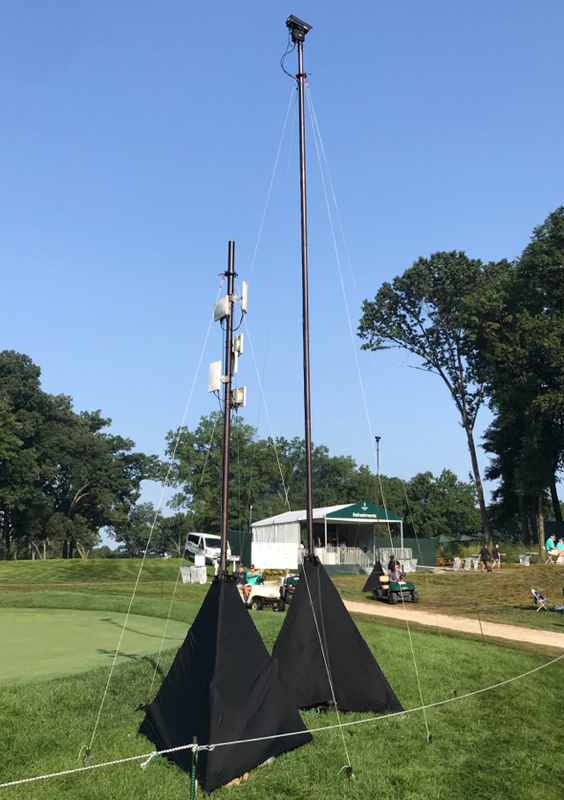 Looking back over the past year or so of our stadium profile visits, it’s clear that the still-young market of large-venue wireless connectivity has reached a certain level of maturity, especially when it comes to well-funded deployments of Wi-Fi and cellular distributed antenna system (DAS) networks. Where in the recent past the San Francisco 49ers’ Levi’s Stadium was a groundbreaker with its extensive wireless coverage when it opened in 2014, such networks have now become the standard expectation for new venues like the Sacramento Kings’ Golden 1 Center, U.S. Bank Stadium in Minneapolis, Mercedes-Benz Stadium in Atlanta, T-Mobile Arena in Las Vegas and even in many “Tier 2” stadiums like Colorado State University’s new football stadium. Similar high-quality networks are also finding their way into older stadiums as those venues get networking for the first time or revamp their initial outlays. Over the past couple years we’ve seen new networks appear in old venues like Notre Dame Stadium, SAP Center in San Jose and more recently, the Alamodome. Other venues that led the initial charge toward wireless networks for fans, like the New England Patriots’ Gillette Stadium, the Bank of America Stadium in Charlotte and Lincoln Financial Field in Philadelphia, all had recent upgrades to their wireless infrastructures as the venues smartly stayed in tune with the ever-increasing demands of fans and their mobile devices. And then there are pioneers like AT&T Park and AT&T Stadium, which have always managed to lead the way in finding new ways to keep their connectivity at state of the art levels. What really helps point to a certain level of maturity is the different methods and manufacturers who all have figured out their own ways to get things done. Wi-Fi antenna deployments placed under seats, in railing mounts or overhead have all proven themselves in numerous live tests; DAS deployments have shown similar successes in a somewhat corresponding number of techniques and equipment usages; in all, there seems to be well more than one path to a successful wireless infrastructure. But before we start taking networking for granted as a commodity like electricity or plumbing, it’s a good time to remember that unlike those two services, networking doesn’t stand still. As new end-user devices and the apps they run continue to drive growth in demand, the question now is whether current Wi-Fi and DAS networks for venues will be able to keep up, or whether new technology is needed. In a previous lifetime as a cellular systems analyst, yours truly wrote a long research paper about the importance of spectrum, predicting that at some point the leading wireless carriers, namely AT&T and Verizon Wireless, were going to need new bands to expand their services. While there have been some technological tweaks to find more capacity than originally thought in the 4G LTE space, on the cellular front the march to so-called “5G” systems is well underway, with the predictable problem of marketing promises being far out ahead of usable reality. While we’ll save an in-depth look at 5G for another point in time, it’s useful to notice that all the large wireless carriers are already making 5G announcements, of 5G trials, of 5G local networks and other assorted claims of leadership. While nobody really knows exactly what 5G is for sure, what is known is that to get to the faster/better claims being staked there is going to be new spectrum in play for 5G services, and some of it may work better than others for use inside venues. What’s clearly not known at all is how 5G services will arrive for sports stadiums, as in whether or not they will fit inside the current DAS model. Will carriers be able to share 5G systems like they do now on neutral-host DAS deployments? Right now that’s doubtful given that carriers like Sprint and T-Mobile are already talking about 5G deployments on much different spectrum spaces — and if the proposed merger between the two carriers becomes reality, how does that further change the 5G planning landscape? Perhaps the only thing we can be sure of is a lot of mixed messages in the near future about the best way to move forward from a cellular perspective. Will carriers take over unlicensed bands? On the Wi-Fi side of things, a smart friend of ours once claimed that when it came to Wi-Fi network deployments, “real estate is the new spectrum” since building owners could pretty much stake a free claim to the unlicensed spectrum spaces within their walls. But now, there may be some storm clouds brewing as carriers seek to implement systems that let them use some of the 5 GHz unlicensed channels for LTE networks, an idea with possible consequences for current venue networks. Aruba’s Chuck Lukaszewski wrote about this issue for Mobile Sports Report last summer, and some of his points bear repeating and remembering, especially these two: One, most Wi-Fi networks in large stadiums are already “spectrum constrained,” meaning that they need all the channels in the unlicensed band to ensure good service across an entire venue; Two, by introducing a system where cellular providers would use a chunk of that spectrum for LTE networks, the effects are as yet unknown — and venue operators would most likely be at the mercy of carriers to both acknowledge and comply with any possible conflicts that might arise. As we here at Mobile Sports Report are cynics of the first order, our first question in this matter is about whether or not there are any clauses in those contracts venues have signed with carriers that will allow the cellular providers to “share” spectrum in the Wi-Fi space as well. While Verizon, AT&T and other service providers have paid quite a few dollars to support many stadium systems, it’s worth it to wonder if some of those deals may not look so good going forward if they include the legal ability for carriers to poach spectrum currently used only by Wi-Fi. Another technology/spectrum space we’ll be looking at more closely in the near future is the Citizens Broadband Radio Service, which sits at the 3.5 GHz space in the electromagnetic spectrum roster. Though new FCC rules on the use of this spectrum (currently used primarily by the U.S. Navy) haven’t yet been solidified, it seems from all signals that eventually what will emerge is a kind of tiered licensing type of situation with licenses that cover large, small or even local geographic areas, which may allow for building owners to set up private networks that work sort of like Wi-Fi does now. One attractive option being touted is “private” LTE networks, where venue or building owners could build their own DAS-like LTE network infrastructure for CBRS spectrum, then rent out space to carriers or run their own networks like Wi-Fi but with LTE technology instead. What’s unknown is exactly how the licensing scheme will shake out and whether or not big carriers will be able to dominate the space; here it’s helpful to remember that big wireless carriers typically spend millions in lobbying fees to influence decisions in places like the FCC, and venue owners spend… nothing. 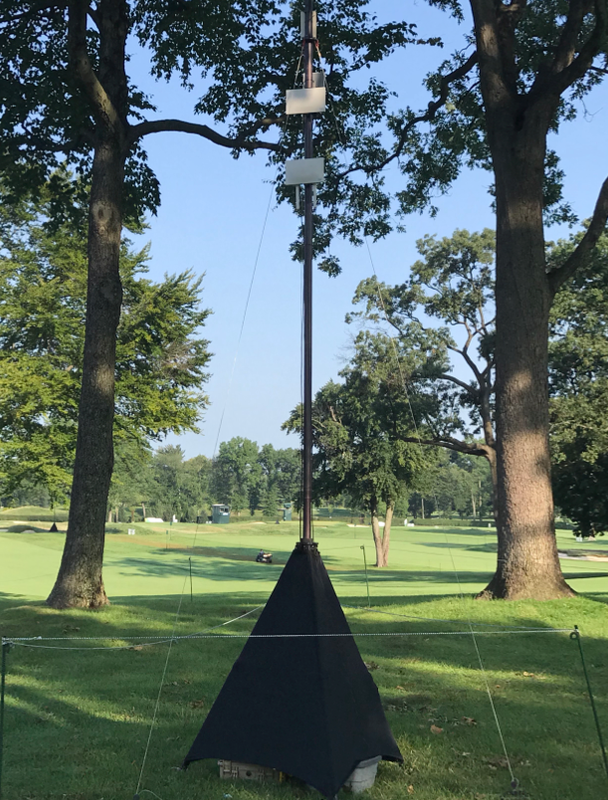 Verizon recently announced it expects to have CBRS-ready devices working before the end of this calendar year, so it’s likely that CBRS systems may be more of an immediate concern (or opportunity) for venues than 5G. And the marketing folks behind CBRS are on full speed ahead hype mode, even crafting a marketing name called “OnGo” as an easier-to-sell label than the geeky “CBRS.” So buyer beware. Already, Mobile Sports Report has heard chatter from folks who are helping design networks for greenfield operations that the choices simply aren’t as clear as they were recently, when you could pretty much count on Wi-Fi and DAS to meet whatever wireless needs there were. While that duo may still be able to get the job done for the near future, looking farther ahead the direction is much less clear and the sailing no doubt much less smooth. 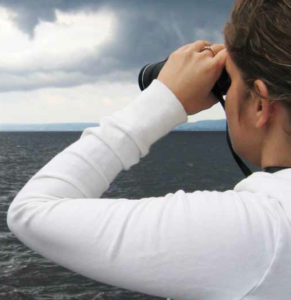 Here at MSR, we’ll do our best to help batten the hatches and give as much clear guidance as we can. At the very least, it should be an interesting trip.